Warning: If at any stage of the warm up or during training / climbing you experience pain stop immediately and seek professional advice from a qualified coach or health professional. A warm up is vital for any training, preparing us for exercise by raising our heart rate, physically warming up our body, allowing the muscles and tendons to become more elastic, reducing the risk of injury and psychologically preparing us for exercise. Before any training session it is key to follow these stages! This warm up schedule will take you from unprepared for climbing to ready to climb or train at your hardest! The first and most important part of the warm up! Aiming to raise our heart rate and start getting our body warm. Alternatives: Cycling or Rowing machine. (You must still complete 2 sets of Star Jumps, mountain climbers and press ups). This phase gets us closer to being ready to climb. Mobility: Straight Leg swings (10 on each leg), Hip Abduction circles (5 on each leg), foot circles (10 on each foot) Arm circles, progressing from large and slow down to small and fast. Fingers: Pulse fingers, but making a fist then extending fingers at least for 30 seconds on each hand. Choose a vertical or slightly overhanging wall, which has ample supply of good holds, traverse along at a safe height, focusing first on footwork, then on straight arms, then combine them both. For the final traverses try and speed up your climbing whilst still maintaining good footwork and straight arms. The next part of the warm is to prepare you climb your hardest and involves a progressive warm up through the grades and gradually blends the warm up directly into your climbing session. This should also be completed before any fingerboard or campus training unless the facilities aren’t available, in which case go to the specific fingerboard and campus board warm up in Part 5. Warning: Do not commence a fingerboard or campus session if you have any pain, niggles or discomfort in your fingers, elbows or shoulders. Seek professional advice from a coach or trainer! The charts below show the number of routes at each grade you should aim to complete, this should take you from very easy to close to your onsight / flash max and ready to climb. The numbers are the number of routes or boulders you need to complete in that grade range before progressing to the next level. The first 15 boulder problems and 6 routes should all be easy enough to do without falling off. The maximum grade revers to the maximum grade you can currently climb at that climbing centre. Note: for route climbing sessions, the warm up can be incorporate into the session. i.e for 4×4 the 8 route warm up can become the first 2 sets of this session. 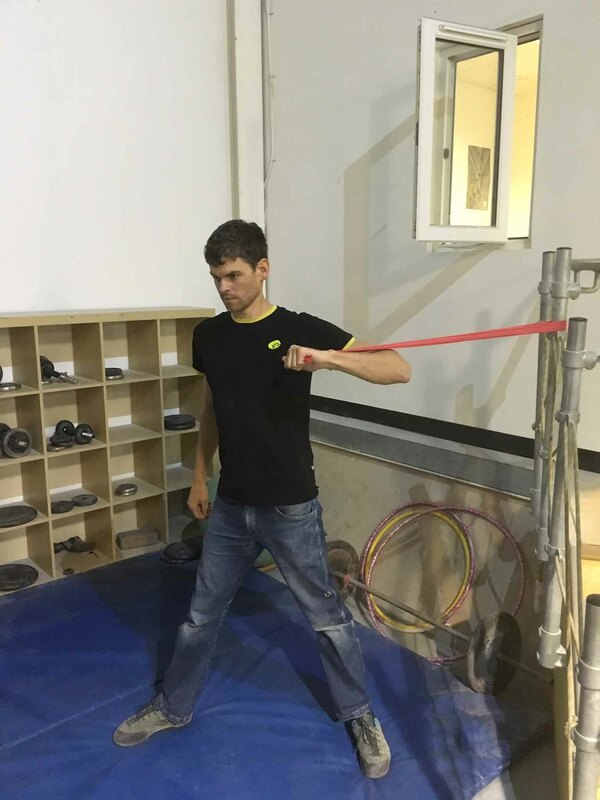 Often for climbing we try and squeeze in a quick fingerboard or campus session, these are high intensity training methods and warm up is vital. The following warm up is for when you are at home and can’t complete part 3 &4 of the above procedure. 5: Feet on Chin Ups using 1 joint hold i.e medium campus rung. 6 repetitions and 3 sets. Always start a fingerboard or campus session gradually; never jump in at your maximum, the first few sets should become part of your warm up!